Short North Piece of Cake is known for their iced pumpkin cookies, which they make year-round, but are particularly special this time of year. Pumpkin pancakes are popular this time of year! 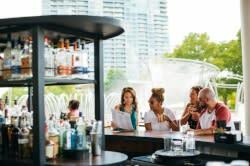 You’ll find them at almost any spot serving breakfast, from the Westerville Grill (made with real pumpkin pie filling) to Sunny Street Cafe to Blunch’s pumpkin spice pancakes. 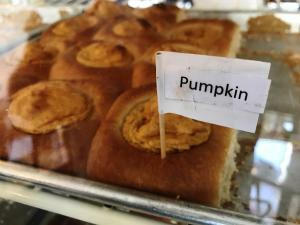 Many Central Ohio bakeries craft pumpkin scones, and Sassafras Bakery’s is a prime example. Be on the lookout for their pumpkin pies and incredible bourbon pumpkin tart! Merion Village&apos;s Bake Me Happy, a dedicated gluten free bakery, creates pumpkin spongies. They’re like pumpkin-flavored Twinkies, filled with sweet cream. Kolache Republic, the city’s only dedicated kolache bakery, creates a pumpkin sweet cheese variety of their sweet, fluffy Czech pastries. 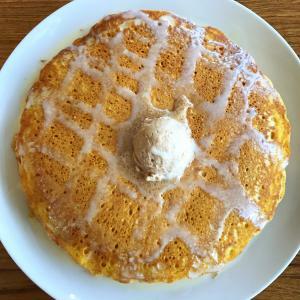 The Original Pancake House in Upper Arlington crafts a crispy pumpkin-flavored waffle. Not all pumpkin dishes are sweet! Dough Mama in Clintonville makes a savory pumpkin soup, made with a yellow curry and roasted pepitas. Many of the city’s great donut shops make pumpkin varieties, from Buckeye Donuts to Lil Donut Factory to Resch’s. 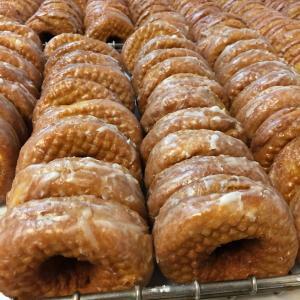 Destination Donuts crafts a vegan pumpkin chai donut, too! Are you up for pumpkin beer? 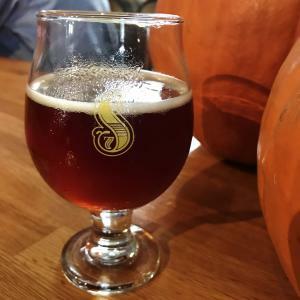 Check out our list of local pumpkin beers to sip this fall! What are your favorite pumpkin treats in Columbus?